Does the material of the firing tube have any effect? The theory predicts eddy currents may flow on a conductive tube such as brass, but is it significant at these modest speeds? This coilgun was first built with a brass firing tube, chosen for its thin walls. However it is highly conductive, and electromagnetic theory says this will act as a one-turn shorted transformer in the vicinity of a changing magnetic field. But how much effect will that actually have in this device? Let's take measurements and find out. 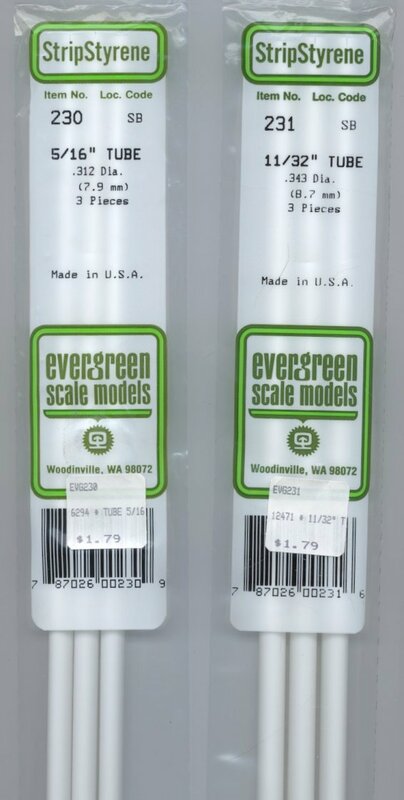 I found an inexpensive thin-walled plastic tube at a hobby shop. It was close enough to the same size as the brass tube that I could slide it into place, and use the same projectiles. I measured the performance with the plastic tube, using one of the higher speed configurations from a previous test. In running this test, I discovered the plastic firing tube made a dramatic 24% improvement in exit speed. This tells us the eddy currents are very significant! We can expect the energy losses in eddy currents to get much higher as we move to shorter firing times, since eddy currents increase with frequency. Note there are other ways of accomplishing a "non-conductive" firing tube. For example, we could have cut a slot down the length of the tube to break the conduction path. In fact, a slot might have an additional advantage in allowing contacts or optodetectors to be moved or adjusted for best performance in a multi-coil type of launcher. This coilgun worked 24% better with a plastic non-conductive firing tube. This was the single biggest performance gain of any changes I've tried! The plastic tube was inexpensive, but other materials and construction techniques should also produce the same benefit.